For a long time, one of the most significant problems for cord cutters has been the availability of live sports. Along with news, sports is a genre synonymous with a cable subscription. Thankfully, the situation is starting to improve. Today, there are lots of sports streaming sites available online, including many streaming live sports. Some are free, while others require a monthly subscription. If you want to discover the best sports streaming sites (all of which are entirely legal), keep reading! FuboTV is a subscription-based IPTV service that’s only available in the United States. The basic plan provides access to 85 channels for $45/month. The Extra plan is $55/month and offers 105 channels. Additional add-on packages are also available. If you like to watch a diverse range of sports, FuboTV is one of the best sports streaming sites out there. You can watch the NBA, NHL, MLB, NCAA, multiple soccer competitions (including the English Premier League, Spanish La Liga, MLS, the UEFA Champions League, and Copa Libertadores), WTA tour events, the IndyCar Series, boxing, cycling, and more. FuboTV does not have a minimum contract length. If you still have your cable TV subscription and FOX Sports is part of your package, you can sign into FOX Sports Go and watch live sports for no extra charge. You can enjoy live channels such as FOX Sports 1 and FOX Deportes, and can also catch up on the action you missed with the on-demand video service. FOX has rights to the NFL, MLB, NASCAR, MLS, the FIFA World Cup, and German Bundesliga, among others. Fox Sports Go is available on the web and via a mobile app. Unfortunately, due to legal issues, NFL games are not available in the mobile app. Another top sports streaming site is NBC Sports. Like FOX, anyone who has a cable, satellite, telco, or live streaming TV subscription that includes NBCSN can sign into the app and watch live TV. Five live sports channels are accessible through the site/app. They are NBC Sports, NBC Sports Gold, NBC Golf, the Olympic Channel, and Telemundo Deportes. You can use NBC to watch Sunday night NFL, college football, NASCAR, all of the major golf championships, the NHL, the English Premier League, the Tour de France, and an endless amount of horse racing. If you live in the U.K., you will be hard-pressed to find a better site for live sports than Sky Go. To watch live sports with Sky Go, you need to be a Sky customer and subscribe to the at least one channel from the Sky Sports package. To subscribe to Sky Sports Premier League, it costs £20/month for the entertainment package plus another £20/month for the channel. The full Sky Sports range of channels, which cover F1, rugby union, rugby League, world cricket, golf, darts, boxing, and the WWE costs $28/month in addition to the entertainment package. Unfortunately, it’s not easy to watch live sports streaming online for free. Due to the amount of money in top-level professional sports, almost all of the big leagues in any discipline sell their content to paid broadcasters. There are some exceptions, however. One of which is Red Bull TV. It generally focuses on extreme sports, so you will find coverage of events like the Cliff Diving World Series, the Mountain Bike World Cup, Red Bull Airborne (surfing), Phoenix Am (skateboarding), and the Freeride World Tour (skiing). Some of the more mainstream free sport streams on Red Bull TV include the FIA World Rally Championship and the MotoGP Rookies Cup. Do you want to watch Monday night NFL games? Then ESPN is the network you need. It’s one of the largest dedicated sports networks in the world. As you’d expect, its video portal is one of the best sports streaming sites on the internet. In addition to the NFL, ESPN also holds rights to college football, MLB, and the NBA. ESPN is also a premium destination for soccer fans, with rights to the US national side, the Mexico national side, and all of the major European leagues. Once again, you will need to have an existing subscription with a cable, satellite, or IPTV provider in order to log in and use the service. Live ESPN channels available include ESPN, ESPN2, ESPN News, and ESPN Deportes. Headquartered in Doha, beIN Sports grew out of the Al Jazeera Sports network. Today, it is a global sports company with operations across North America, Europe, the Middle East, and Asia. In the United States, beIN Sports is almost exclusively dedicated to soccer. It holds the broadcasting rights for La Liga, Ligue 1, the Copa del Rey, the CONMEBOL World Cup Qualifiers, the Copa Libertadores, and the Football League Championship. It also airs Real Madrid TV. Other sports on beIN include bike racing (MotoGP, the Superbike World Championship, and MotoAmerica), college football, and Major League Wrestling. All that coverage means the company’s online portal—beIN Sports Connect—is one of the top sports streaming sites for soccer fans. You need an existing subscription with a TV provider to log in, but there are no further costs beyond that. Most of the major U.S. sports offer their own streaming services. Depending on your preference, you could sign up for NFL Sunday Ticket, MLB.tv, NHL TV, or NBA League Pass. MLS fans can sign up for MLS LIVE. Some of the subscriptions aren’t cheap. The NFL Sunday Ticket requires a DirecTV plan, MLB.tv is $25/month, while an NBA League Pass can cost as much as $40/month. The exception is NHL.tv; it offers lots of out-of-market games for free, though the biggest games still require payment. All the services operate blackouts for local market games. The sports streaming sites featured in this article should have you covered no matter which sports you enjoy the most. However, if we haven’t included your favorite site, make sure to let us know in the comments below. 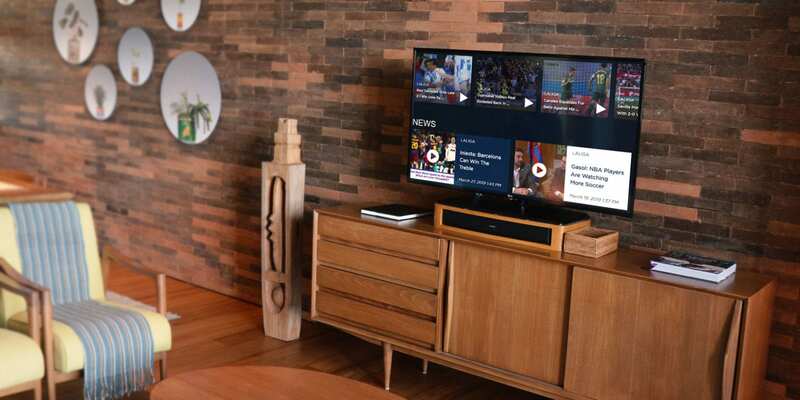 And if you would like to learn more about how cord cutters can watch live TV, check out our articles detailing how to watch live TV with Plex DVR and the best Kodi add-ons for watching live news.